I agree, the alternative is much worse. In actual fact, I haven’t suffered too much by getting older (so far!). Staying awake all night out in the open air (and cold!) would probably not be too hard. 🙂 You’ll have to let me know how your evening goes. Timi. I’m sure your young friends will love it. Oh, Timi, what a shame – but there’s always next year. Your health comes first, so do take care of yourself. Bronchitis is very nasty, and can so easily lead to pneumonia. As far as I can see, EVERYTHING slows down when we get older! Still, think positively, and focus on getting well enough to enjoy Christmas. Thank you, Millie. Meanwhile, I’m quite enjoying Shadow of the Raven! wonderful post and like Newgrange same is true for MaesHowe in Orkneys. Christianity definitely borrowed the celebration of Saturnalia, and gift giving etc. I love reading these histories Millie. Blessings of the season to you and yours! I love Summer Solstice, but I literally cannot wait the Winter one to come 🙂 December is quite dreary here. Yes, we need the festive times to brighten up the dark days of midwinter. It is always interesting to read how the various age old traditions evolved and were adapted to fit in with newer ones. There are, it seems, quite a few similarities between Yule, Christmas and the Winter Solstice celebration of Saturnalia. People’s lives were dominated by the change of seasons and they seem more in touch with nature than we are! How magical it would be to gather at Stonehenge to see that sunrise. Have you been there yourself? I was writing at the computer last night at 10.44 but am decidedly closer to the Tropic of Capricorn than you. ( it is about six hours drive from here! although I didn’t realise its signifcance to the solstice until I read your post!. Thanks, Millie! Hi Amanda, it’s lovely to hear from you again. 🙂 I’ve just found your comment in my Spam! I really don’t know why it was there, and can only guess it’s because we’ve been out of touch for a while – my fault entirely. I’ve been very lax in getting back to people lately. I’m fascinated by the solstice celebrations, and yours would have been your summer one, I believe. I bet it’s hot there now, too. Stonehenge is a very special place and I can imagine the atmosphere under the towering stones, particularly at the winter solstice when it’s dark. I’ve only visited the site once, back in May this year and we weren’t allowed inside the circle. It’s only ‘opened’ for special events, like the solstice. I wrote a post about the history of the site because it fascinated me. I can’t believe we didn’t visit it when we lived so close to it (in Wantage) for six years in the ’70s. Nice reminder to revisit a great post – thanks Millie! I love learning about how different cultures were inspired by the rhythms of nature to construct such interesting rituals. Always inspires me for my own world-building. Happy Solstice! Thanks for re-reading it! I don’t reblog many posts because I always think no one will want to re-read. I just find times like the solstice fascinating, historically as well at the present time. Rites and rituals held on these occasions in the distant past may well be of use, adapted to fit into Eneana. I loved reading the ways people of the past celebrated the winter solstice, Millie! Thanks, Christy. I’m glad you liked it. 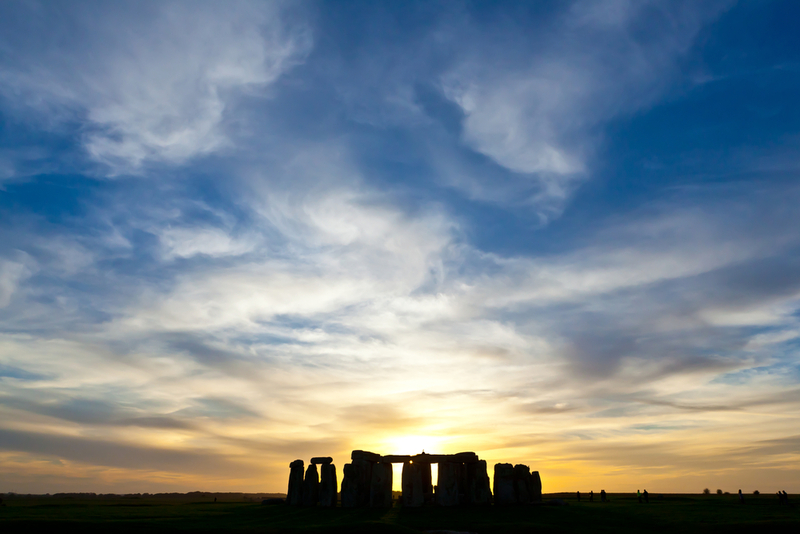 The solstice celebrations go back a few thousand years and still flourish today. Amazing!.